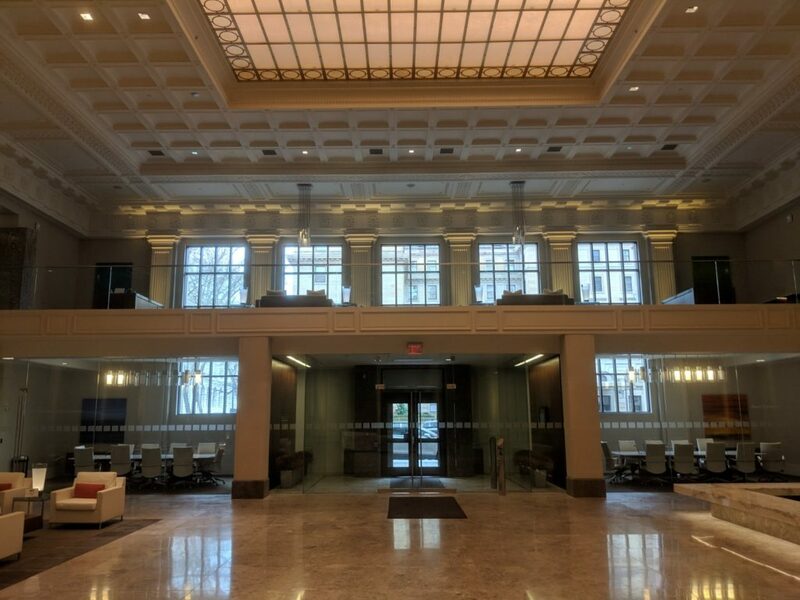 The Calfee Building located on E. 6th St in downtown is next door to the Federal Reserve and across the street from the former Board of Education Building. The building was constructed in 1916 and originally the home of the East Ohio Gas Company. The gas company was part of John D. Rockefeller’s Standard Oil Co. The building was cutting edge for it’s time and mirrored the Beaux Arts styles of the buildings along the mall that were part of the Group Plan of 1903. Throughout the years it has changed hands several times and was even the home of WKYC Channel 3 for many years. Today is the home of the Calfee, Halter & Griswold LLP law firm. They are one of the oldest law firms in Cleveland. The building was added to the National Historic Registry in 2003 but was in pretty bad shape. 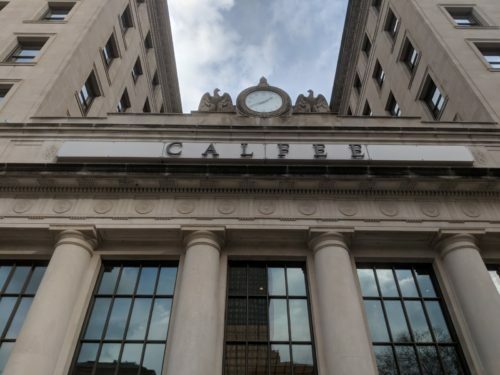 It was restored 2011 when the law firm moved in and renamed the Calfee Building. See the building on our Downtown Highlight walking tour. To book your tour, click here.